There is a tremendous amount of volume in the segment and it's growing, but Ford is simply not well positioned to take full advantage profitably. I'm actually still shocked they are doing the EcoSport in the US but I understand their situation is a bit desperate at this point so they can't really wait around for 2+ more years as their car sales dwindle. Ford is also about to go through a massive car culling with the discontinuation of Focus, Fiesta, C-Max, Taurus, and Flex so they simply need products and customers before Wallstreet has another heart-attack. I know Ford would rather not be in these segments at all and focus on Escape and up. I think eventually we'll have a Ford with some better entries like the Maverick in particular which is going to be based on a revised and beefed up NG Fiesta (the one we didn't get). I'm not sure EcoSport is ever going to be suitable to the US so hopefully it's just a temporary vehicle and will be gone by 2022. Last edited by Assimilator; 04-04-2018 at 11:42 AM. It's only the EcoSport's second full month of sales in the U.S. Even the Trax had to start from somewhere some 3+ years ago with sub-4k sales numbers. When compared to the Trax, a direct rival, the interior space is actually similar. In fact the shorter EcoSport has more legroom and a bigger cargo area than the Trax. Better packaging gives the EcoSport a decent size interior despite having the shortest overall length. Most of the Trax's added length is on its nose. *Its larger competitors (price-wise) like the HR-V and C-HR sit so low, you might as well get a Focus hatchback. Both not very appealing to me. The GM platform even less so. Logans Run and AM222 like this. Last edited by 2b2; 04-04-2018 at 01:51 PM. Right on point! On Edit: Not sure where Ford gets their rear leg room numbers from. Rear seat legroom on the Ecosport is PATHETIC at best. I sat in an EcoSport at the auto show last weekend. It wasn't a limo, but I was able to fit ok in the back seat, and I'm 6'0". The EcoSport is actually pretty comfortable in the front seat for me and I'm really tall, I managed to squeeze in the backseat as well. It's certainly far more comfortable than a Focus which is knee-banging awful to get in and out of (Fiesta is actually better than Focus). The issue that stands out to me is forward visibility because of the huge A-Pillars squeezing the forward view. I think the only thing that strikes me as odd about the EcoSport is how narrow the interior feels, it's the type of car you bump elbows in. The other cars in this segment are noticeably wider so they don't feel so unusual. The EcoSport is smartly packaged for what it is but it gives up things like larger 20" 5-lug SUV type wheels for really small economy car 4 lug wheels which means they can retain the small wheel arches and suspension of the Fiesta. It's a car that is more subcompact that most in this segment which are more heavily revised from their B-Car roots. It's smart in many ways because it means they can put much less resources into the vehicle's development and manufacturing costs while adding perceived value through amenities which have a higher appreciate rate by customers than intangibles underpinning the vehicle. That helps to keep margins up on a low profit segment. Last edited by Assimilator; 04-04-2018 at 02:03 PM. It may have 4-lugs but this is far more capable than most other B-segment SUVs/CUVs. Others go for looks, while Ford actually developed the EcoSport to be tough despite being a sub-compact unibody crossover SUV. In the US it's marketed as a tall trendy alternative to a small hatchback car, in other markets they also highlight its capabilities. 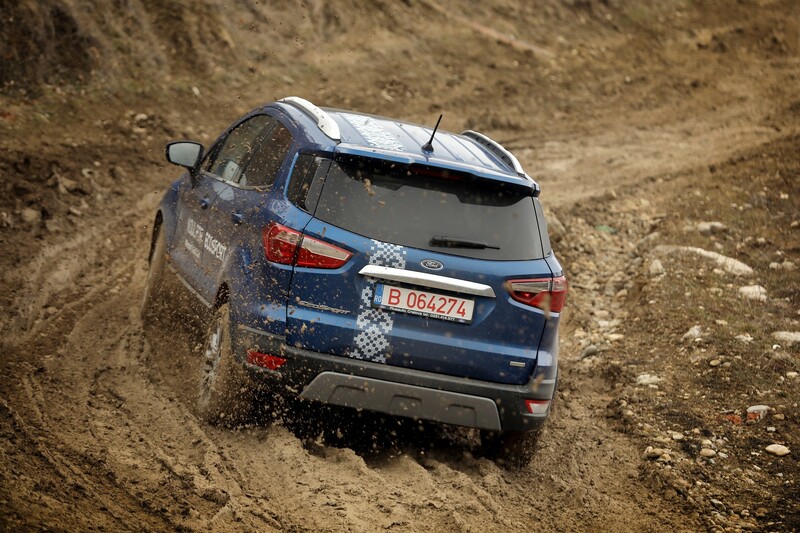 Knowing what the EcoSport was developed to handle made me like it more. I've test driven the pre-facelift model, i'm sure the new 2018 model drives/handles even better (suspension tweaks and updated engine-transmission options). Last edited by AM222; 04-04-2018 at 06:52 PM. Uh? They can't even produce 10K in a month. How would sales be 10K for April? Production is now at just over 2k per week for the end of March, and this is just counting models with all complete paperwork for delivery. 10k for April is doable with production ramping up to 5k per week by the end of June. -The production of the Model 3 is reaching now 2000 units per week and the entire Tesla line is reaching 4000 units per week. 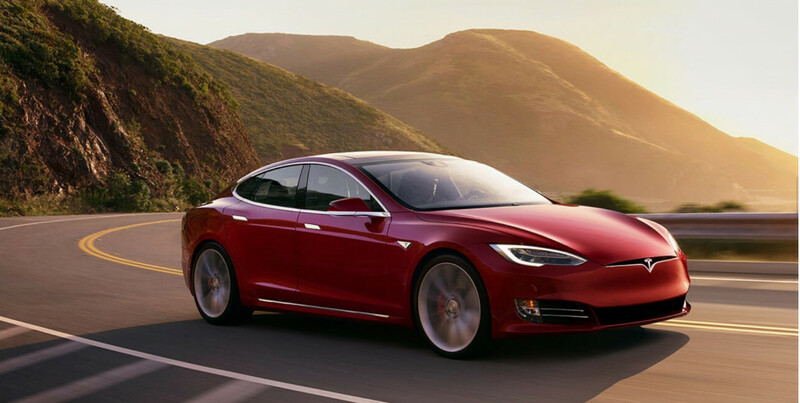 - The quality problems of Model 3 continue... the exterior assembly and the interior quality of this model is far from the quality and excellent experience of today`s Lincoln. - Profits? Profits on Model 3? You have a broad imagination, Bloggin. -The Autopilot is a big fiasco. Is a disaster. It is , even , dangerous. Here a paragraf from the article:" This is not a self-driving vehicle. Far from it. It seems a misleading — or even dangerous — to call it a semi-autonomous system considering the vague amount of automation such a descriptor provides. Even so-called self-driving cars with safety drivers behind the wheel as backup have proven to fail tragically, as we saw with Uber in Tempe. Being lulled into a sense that the car can drive you is a looming catastrophe until the technology has being sufficiently tested, proven and publicly deployed. Even Tesla's owner's manual calls Autopilot a "beta" system, essentially making owners guinea pigs in a rolling laboratory." -The experience in a Tesla Model 3 is far from pleasant. The unique big screen to control everything is not a luxury experience. Is very difficult to live with it. Here a comment from one of the articles: "A joy to drive, a pain to use "
Wow...now that took some effort to dig up just about every negative comment written in the media about Tesla or the Model 3. But today stock is up $19.41, Model 3 is on track for 5k per week(260,000 annually) by end of June, and we should see the Model Y by end of year. Paid reservations for Model 3 are still holding just abut 500k. And there is a new Model S coming..... But the current model is still outselling all other luxury sedans $75k and up.